When Portfolio reviewed the latest Aston Martin DB11 last year, our test driver’s conclusion was that the iconic sports car used in James Bond films was “out of this world” in terms of design, luxury and performance. In fact, things have been looking up for the legendary car company since they first launched their design consultancy in 2016. 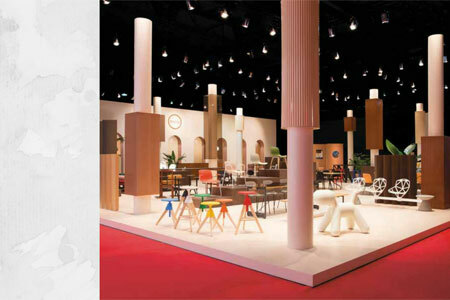 To date, the company has experienced record profits despite their disappointing IPO last year. Aston Martin’s latest venture will indeed take the marque to boldly go where no one has gone before—really. Last May, Aston Martin and Triton Submarines announced the successful completion of the design phase for ‘Project Neptune’, and the commencement of the first production model ahead of its public unveiling later this year. It seems natural. After all, Triton Submarines LLC of Vero Beach, Florida, is the most experienced civil submarine and submersible manufacturer in the world. It’s a corporation, not a government. Subs are by their very nature complex and expensive things to create. They explore another world, a very dangerous world. Triton submersibles are designed with safety at their core, which is understandable. Water is heavy and can easily crush a vehicle at depth if it’s not adequately designed and engineered. At the surface of water the Earth’s atmosphere weighs about 15lbs per square inch. Go down to 33 feet and that pressure doubles. The deeper you go the higher the pressure, making the watery world a very dark and dangerous place. Even spacecraft can’t withstand the pressures and environment encountered under our oceans. Thankfully, each Triton sub built gets tested and certified. Remember, these subs aren’t toys—they go down to depths that some other submarines wouldn’t even consider because they’d be crushed like an empty beer can. It’s all the more impressive when you consider that Triton is launching another personal sub, the Hadal Exploration System, which will be able to explore the deepest part of the oceans. The cost of that sub is a cool US$50 million, give or take. But what it will offer its customers is an experience like no other vehicle on the planet can, literally. Only a handful of people have ever gone as deep as the Hadal will eventually go. Since the announcement of the creative collaboration last year, Aston Martin and Triton have worked together to refine the detailed design of the submersible’s hydrodynamics, body styling and luxurious interior packaging. For a vehicle to wear the iconic Aston Martin wings, it must be equipped with all the performance, beauty and elegance one has come to expect from the British carmaker. To earn the signature Trident emblem, the submersible must be safe, reliable and offer its passengers near 360° visibility. The final design of the submersible is testament to the extraordinary attention to detail of both design teams and reflects the complimentary expertise of each company. A spokesperson for the venture has confirmed that the submersible will be able to dive to depths of 500 meters and carry two passengers and a pilot. By improving the hydrodynamic efficiency, reducing frontal area, and increasing the power, the submersible will have an anticipated flank speed in excess of five knots and approximately four times the acceleration of Triton’s flagship 3300/3 model. It’s only natural to label this craft as an underwater sports car. 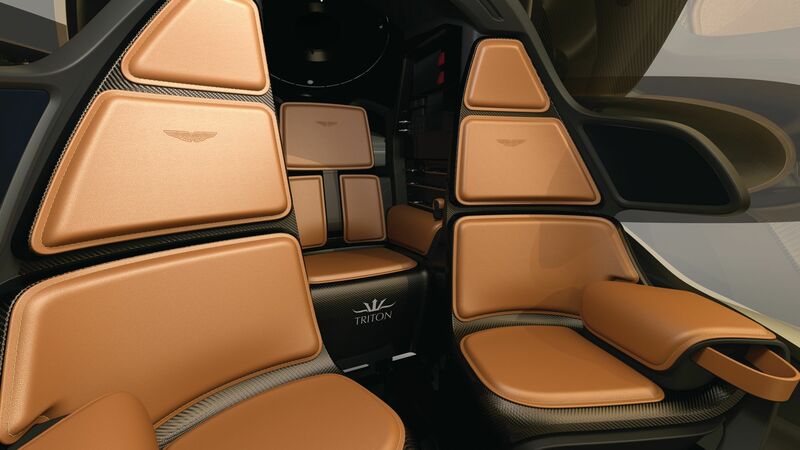 Feelings aside, the interior is quintessentially Aston Martin – a luxurious mix of hand-stitched leather and high-performance carbon fiber, assembled without obstructing the panoramic sight lines that Triton submersibles are famous for. A range of three Designer Specifications created by Aston Martin’s in-house design team demonstrates the breadth of expression available through considered combinations of color and trim, each accentuating Project Neptune’s sporting, luxury and maritime characteristics. As with their ground-based counterparts, customization and personalization options will be available courtesy of Aston Martin’s bespoke service, Q by Aston Martin. 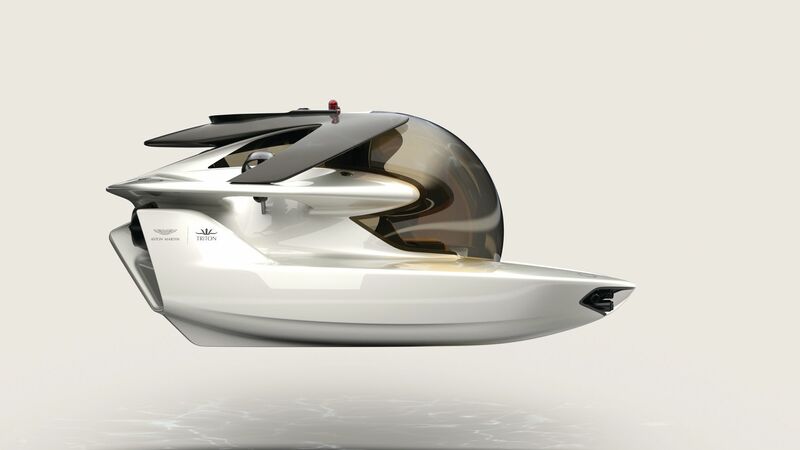 If you would like to own this unique underwater sports car, the companies have announced that, in order to secure one of the remaining build-slots for the Project Neptune submersible, you should contact either an Aston Martin dealer or their nominated Triton Submarine’s representative. The final price of a Project Neptune sub has not been confirmed yet by either company, but as you might imagine, it won’t be inexpensive by any means. In other words, you’ll have to deep pockets to pay for this amazing sub.